Russia will exhaust one of its sovereign funds next year to cover the budget deficit, according to a finance ministry proposal submitted to the government. It will also spend about a sixth of another of its funds on covering the budget shortfall, the proposal stated, even though that fund was originally intended to cover long-term deficits in the pension system. The proposal, a copy of which was seen by Reuters, states that by the end of 2017 there will be no money left in the Reserve Fund, and it will spend 783bn roubles ($12.2bn) from the National Wealth Fund. 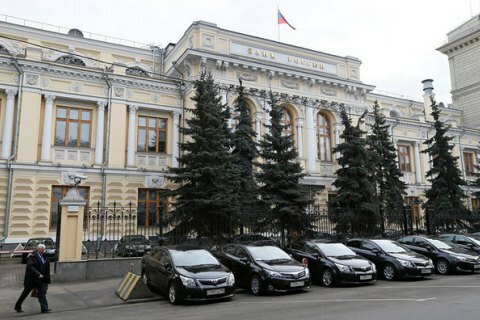 The proposal also showed the finance ministry planned to increase net domestic borrowing to 1.29 trillion roubles in 2017 from 300bn roubles this year. The finance ministry proposal has not yet been approved by the government. Russia's budget deficit has swollen as oil prices fell sharply from 2014 and the West imposed sanctions over the Ukraine crisis. Russia's sovereign wealth funds are intended as "rainy-day" funds to provide a cushion against falls in prices for oil and gas, the country's main exports. At current rates of spending, it has been clear for some time that the Reserve Fund - which at the start of 2014 stood at 87bn dollars - would run out around 2017. The fact that assumption is now included in the finance ministry proposal shows officials have not been able to find savings or sources of additional revenue elsewhere to stop that happening. Finance ministry officials have been pressing for some time for spending cuts to reduce the budget shortfall, but implementing cuts could be politically damaging because Russia votes in a parliamentary election in September.